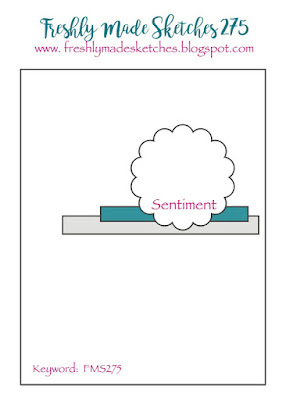 Fantastic sketch at Freshly Made Sketches this week and I'm so glad I made the deadline. It was a near run thing with family issues and a blown light bulb! I'm very fond of this hexagon honeycomb embossing folder. The embossed gold on the vellum is a stamp from Best Birds. 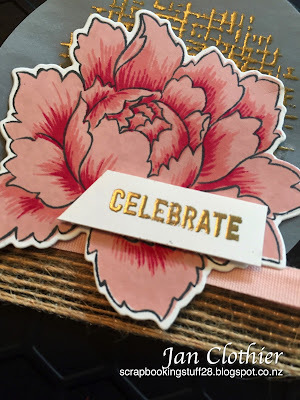 The Altenew Peony Bouquet stamp is glorious and I love it plus there's a sense of achievement in getting all four layers of it in the right place! Wow - the dark, almost somber colours of your background serve as a great foil for the delicacy of the flower, and the gold just lifts the whole image. Another wonderful card! Beautiful card, Jan! 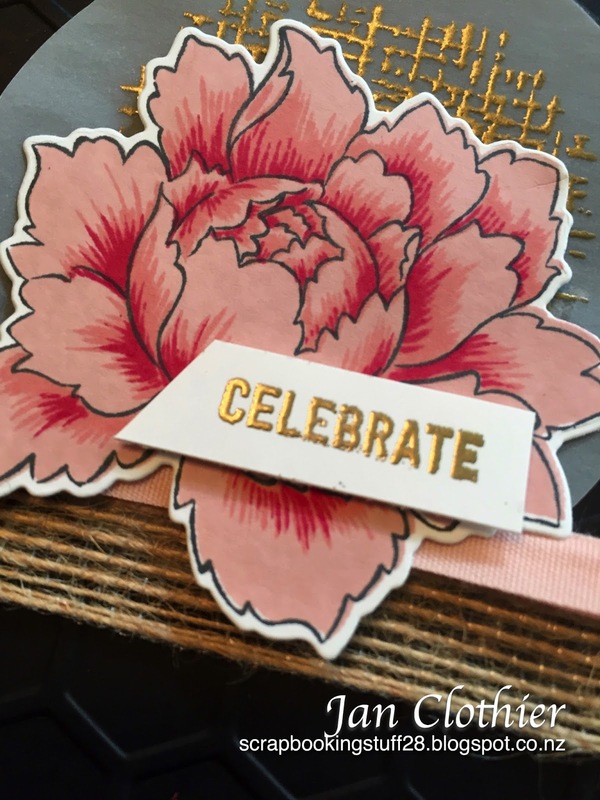 That Peony Bouquet is such a gorgeous stamp set and you've showcased if perfectly here! Thanks so much for joining us at Freshly Made Sketches. 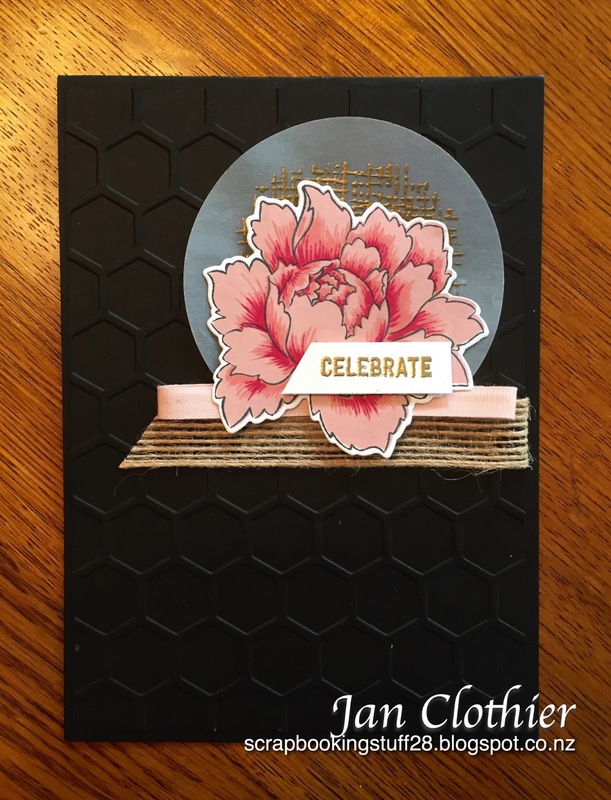 A gorgeous card, Jan! 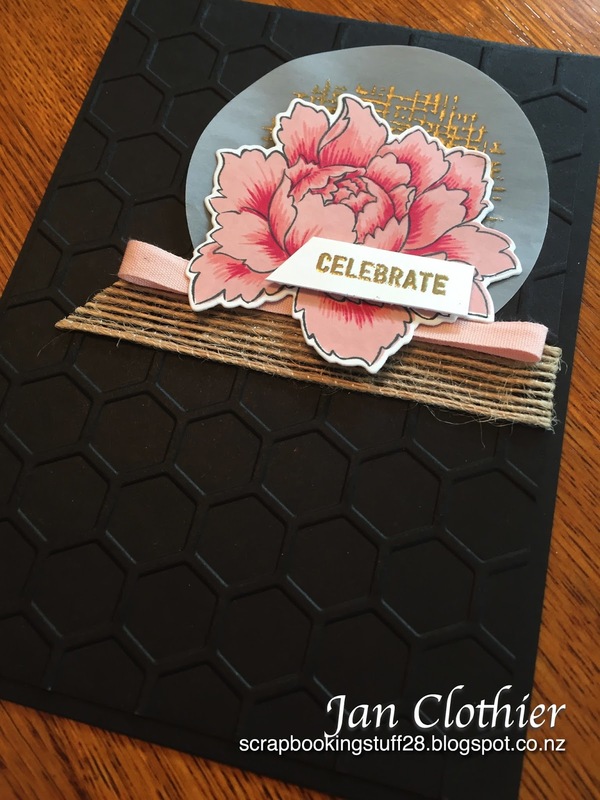 The black card base adds a nice sophistication and the gold embossed vellum a freat highlight behind the flower. 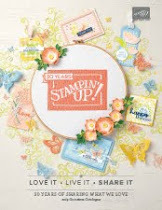 I congratulate you on getting all four layers stamped perfectly! 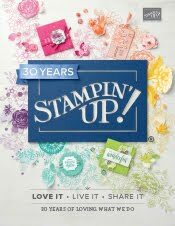 :-) It's something I have yet to achieve with this stamp set LOL!! This is so gorgeous! I love the gold, vellum, and ribbon that add a soft touch over a bold black background. This is so elegant! I need to practice using my Altenew florals & boy have you inspired me! Love the gold behind your incredible bloom!